Peoples Democratic Party (PDP) president Mehbooba Mufti is holding consultations with her party colleagues on how to go about the two Lok Sabha seats in the Jammu region — whether to fight on its own or offer support to a party to give a united fight to the BJP. Mehbooba has been quite active in her campaign to defeat the BJP in the Jammu region where the latter had won both parliamentary seats of Kathua-Udhampur and Jammu-Poonch in 2014. The BJP had also won 25 of the 37 Assembly seats in the region. While the PDP is trying to decide which way to go — to offer support to the Congress in Jammu or to field its own candidates on the two seats — the most important factor is what happens during the Assembly elections where the Congress would be one of the rival parties to the PDP. Sources in the PDP told The Tribune that Mehbooba was not willing to give an impression that she was trying to rescue the Congress as a revenge to the National Conference (NC) that had refused to entertain any claim of the Congress for any of the three seats in the Valley. She wants to be clear as to who should be supported and at what cost. At the same time, Mehbooba is bogged down with a dilemma that any division of opposition votes would work to the advantage of the BJP. “She has begun consultations by talking to the leaders of Doda,” a source said. Doda is one of the Muslim-majority districts in the Jammu region and the PDP is banking upon Muslim votes in the region. Doda is a part of the Udhampur constituency where Minister of State in the PMO Jitendra Singh is the BJP’s candidate. Pressure is mounting on PDP chief Mehbooba Mufti to contest the Lok Sabha poll from Anantnag. 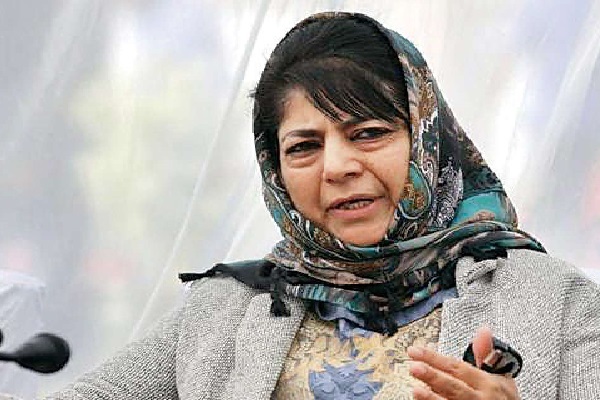 A large number of PDP workers and senior leaders from south Kashmir are keen to see Mehbooba contest the Lok Sabha poll, which will also have an impact on the upcoming Assembly elections in the state.